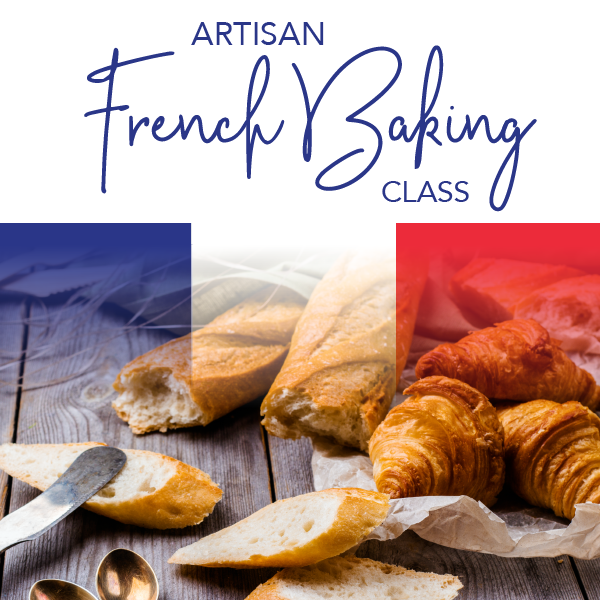 Join Artisan French Baker Bernard Hoff for this special part hands on/part demonstration class and learn all the secrets of a French Baker! Part hands on part demonstration this class will be a treat! Class Includes- Take home Box of Croissants, Pain Au Chocolate, Creme Patissiere and French Baguettes. light lunch, class tuition, ingredients, recipes.